Marriage in church is a wonderful recognition of the gift of love given to us by God in his creation and shared between a man and woman. It is a Holy covenant between and man and woman in the presence of our Holy God and witnessed by his people, the Church. We take marriage in Church seriously and consider every application to be the work of God in the human heart. We therefore make every effort to ensure couples understand the seriousness of the commitment they are to make. We also seek that you are enlightened to the opportunities that exist as you come to God for his participation in the celebration and consecration of your lives to each other and to him. The following information is designed to give you a clear understanding of what is involved in being married in Church. Should you have further questions please use the contact form located at the end of this page. To be married within the Church of England in the Parish of Green Street Green & Pratts Bottom, St Mary's with All Soul's, certain legal formalities according to the laws set by Parliament must be met. There are many questions that couples have regarding being married in Church. Many of these can be answered by clicking the following link to the Questions and Answers Page. Do you live in this Parish? You can be married here if you live in the Parish or belong to the Church and are on the Church Electoral Roll. To find out if you live in the Parish click here. If you do not live in the Parish one or both of you need to register yourselves on the Electoral Role. To register for the Electoral Roll you must attend Church regularly for a minimum of six months before you can apply. If neither of you live in the Parish In some circumstances it is possible to be married in the Parish if you do not live here. 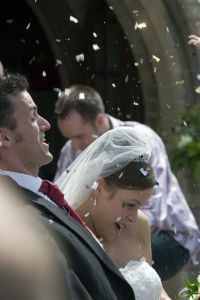 If you have a genuine connection with the Church in which you want to be married you may be able to be married there without the need for a Special Licence. In some cases where a genuine connection can not be established you may need to apply for a Special Licence. Further information about this can be obtained from the Faculty Office in all cases you should speak directly with Revd Ruth Murfitt. Has eiether of you been previously married? Divorce is always regrettable. However, we recognised that there are certain conditions where those who have been previously married and where that marriage has been dissolved in law, may have a wedding in Church. This is at the discretion of the Parish Clergy and will always involve consultation with the Bishop of Rochester. Couples should enquire directly to Revd Ruth Murfitt before any dates for a wedding are planned as the process of discernment can take some time. Marriage in Church is not always possible. For a variety of reasons some couples decided that being married at a Registry Office was an appropriate option. Some of those people later feel they would like to bring their marriage before God to ask for His blessing. This is possible with the service of Prayer and Dedication After a Civil Marriage and can be arranged after discussion with the Clergy. Sometimes those who have already been married decide that they want to reaffirm their commitment to each other and give thanks to God for their love. This is also true if there has been a difficult period in the relationship and that has now been resolved but their is a need to come before God to give thanks. Most of the important information regarding Marriage in Church After Divorce can be found by clicking here. Fees for Marriage In Church. Occasionally we run the Marriage Course and the Marriage Preparation Course at St Mary's for those who are preparing for marriage and those who have been married and want to breathe new life into their relationship. For more information about the courses click on the images above or contact us by clicking here.